Today’s guest serves as an advisor to various FinTech startups in the United States and Canada. 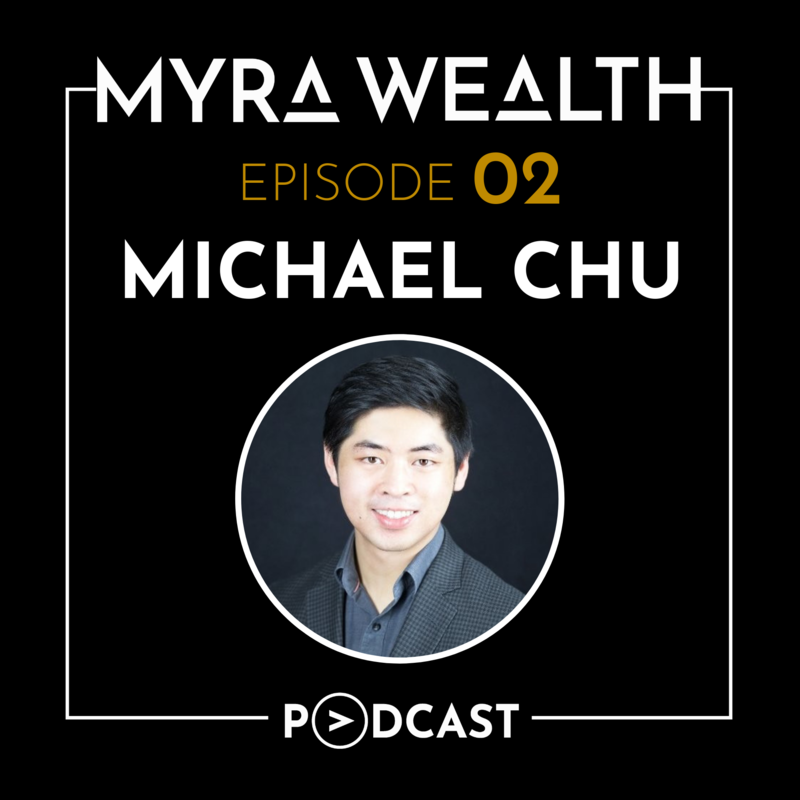 With an MBA from the Wharton School, specializing in management, marketing, and operations, along with advanced coursework in finance, Michael Chu works with companies that aspire to pursue market success while taking care of their people and the communities around them. Michael was born in Hong Kong, and he moved to Canada at the age of seven, and then to the United States at the age of 21. In this episode, he shares his best and worst financial decisions, as well as advice on investing and 401k plans. Listen in to learn what Michael says we should all keep in mind when weighing our spending decisions, the rules he follows with his own money, and more. What Michael wishes more multicultural and international individuals knew about managing their finances. His chief sources of information for making financial decisions. How 401k plans work and how to maximize employer matching programs. What to keep in mind when weighing spending decisions. The pivotal point in his life that changed his goals. His personal definition of success. What the Rule of 72 is and how it works. The best and worst financial decisions Michael has made. The most important thing that money gives him today. What he would change if he unlimited money. How he would like to be remembered someday. Sahil Vakil: Welcome Michael Chu. Welcome to the MYRA Wealth Podcast. Michael Chu: Hi, Sahil. Thanks for having me. Sahil Vakil: Absolutely, Mike. Mike, before we start, can you just give us a quick idea, where are you from? Where's your family from? Your ancestors? Michael Chu: Sure, yeah. Again, my name is Michael Chu. I was born in Hong Kong. I grew up in Canada, in Toronto. Now, my family emigrated from Hong Kong to the Toronto area when I was about seven years old. Since then, a lot of my life has been quite local in Toronto. I've study university here at the University of Toronto in biomedical engineering, after which I moved down tho New York and I worked with Bloomberg as a software engineer initially, and then the various management roles, and for about ten years at Bloomberg. Since then I've been, in the past year I've been working independently advising early stage companies in the fintech spae, and also exploring some projects on my own. While I was at Bloomberg, I also did my MBA at Warren, and also a CFH holder as well, so. Sahil Vakil: That's amazing. You have some fantastic experiences out there, and I'm sure we'll get into some of those as we go about this podcast. For those of you who want to connect with Michael, he's available on LinkedIn at Michael-mh-chu. We will also have his LinkedIn profile on our show notes if you want to add him from there. The podcast along with all the show notes are available at myrawealth.com/podcast. That's M-Y-R-Awealth.com/podcast. Just coming back, so very interesting, you grew up in Hong Kong, and then at the age of seven you moved to Canada. And then you had a couple of years in the United States and then you moved back to Canada. So just, if you can recall for us, what was your earliest childhood of memory? Do you have any? Michael Chu: Probably the first time was, like I used to collect baseball cards when I was a kid. And I think the first time I even thought about it was seeing cards that I wanted, and actually thinking about well how to get it, and having to actually needing money in order to actually buy the packs so you can try to collect your favorite cards. And so, that's probably when it registered to me that money was a real thing. Sahil Vakil: Now were these baseball cards of players from Hong Kong or were they U.S. based players? Michael Chu: Oh no, this was here, yeah. This was MLB players, so. Sahil Vakil: Got it, got it, got it. Makes sense. Okay, fantastic. And then you moved to Canada at the age of seven. At what age did you move to the United States? Michael Chu: I was 21 when I moved on to the U.S.
Sahil Vakil: 21. Okay, that's a very young age to have moved, and you were living independently here in the United States at a very young age. What do you wish you knew back then and in general? What do you wish more international and multicultural individuals knew about managing their personal finances, especially when they move to the United States at such a young age? Michael Chu: I think one of the big things is the government has a lot of incentive and savings and investment programs. And definitely in your best interest and everyone's best interest to take advantage of those whenever you can. I think for me, I was lucky a lot of it, I came from kind of a background where I knew going in that I think saving is very important. I didn't haven't a very extravagant lifestyle. And kind of parents always kind of taught me to put some money away, right. So, I think first thing, one of the first things I did when I moved down to New York and started working full time job there was set up my 401K, make sure I max out my contribution so I can get my company matches. Sahil Vakil: Yes, I think that's a fantastic strategy. I mean, for those of you that don't know 401K plan is typically set up by your employer, and contributions to that plan are made from your paycheck. It is a retirement account that the employer sets up for you. The maximum contribution for 2019 is now $19,000. So, some of you that already have 401K plans you're already familiar with this. Some firms, they typically do that stuff 401K plans, the traditional and the Roth. Not all firms offer the Roth 401K plan, but just to give you a high level difference. So, the traditional 401K plan here, your contributions are pre-tax or tax deductible. Your earnings will grow tax deferred and your withdrawals on retirement will, you will have to pay ordinary income tax on them. Whereas for Roth 401Ks, if your employer does offer those, contributions are post tax, or they're not tax deductible in the year that you make the contribution. The earnings grow tax free, and withdrawals on retirement are also tax free. Now, the concept that Mike mentioned was around the employer match. So, some firms to incentivize employees are providing employer matches. You may have heard something along the lines of we'll match you 50% for the first six percent of contribution. Simply what that means, if you earn $100,000 paycheck, firm says if you contribute six percent or $6,000 a year, we'll match you for three percent of that or $3,000 a year. Now that is free money. I mean, we highly encourage everyone to take or at least contribute as much as their employer matches that. So, if your employer says, we'll match you for the first six percent, contribute six percent because whatever match they give you, 25% of that or 50% of that, it's all going to be free money for you. Michael Chu: Yeah, I think that's probably the big thing. The other one I think is, and this is not necessarily the U.S., but a lot of professional, especially if they're moving to the U.S. and to a market like New York, and then you start to make more money, I think, I will say my advice would be you don't really have to spend it all. I think it's, in retrospect, I think that a lot of ties you get caught up in wanting to spend more on food because there's just so much to explore. A lot of things like, there's an endless amount of things that you can really spend your money on, and buy whatever new thing on Amazon, or the latest iPhone. 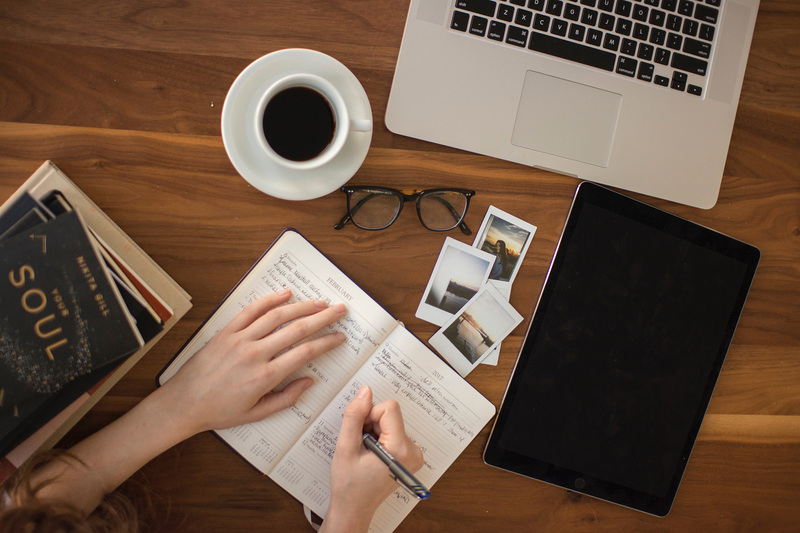 Oftentimes, I think in retrospect, like there's a, if you consider the opportunity costs of what your money could be doing for you long-term, that's probably something to weigh your spending decisions against, so. Sahil Vakil: Right, right. That's very good advice there. And I think the ideas you were hinting at were definitely create a budget, especially in a city like New York where spending just goes through the roof, where your rents are so high, food is so expensive. Create a budget for your income and expense outflows. So just, pivoting a little bit back to your career. Before we go into your career and your illustrious, your amazing career, what we have from professional perspective, can you give us a brief definition or a personal definition of success? What does success mean to you? And where does that definition come from for you? Michael Chu: It's interesting question because I mean, I think ten years ago, I would have given you a very, even five years ago, I would have given you a very different response. Back then I think it would have been to be CEO of some company, probably a house with a picket fence, two kids kind of thing. American dream pretty much, right? And I think that was probably heavily influenced by my parents, kind of what they wanted or hoped for my life, and also societal definitions of success, right? For me nowadays, I think I've a much humbler goal. I think I would say definition of success would be to realize your own personal potential and be happy. Sometimes it's like, that's not an easy thing, neither of those things are easy to accomplish, I think. I think for me that came from a realization over looking at past times in my life, and the most meaningful moments are really times I've pushed myself to the limit. I've done things I didn't think I could do initially, whether it be seeing commercial success with a new product or solving a really hard technical problem. Or recently I've been getting into mountaineering, or reaching the top of a like a mountain that you knew was going to be challenging, but you did everything you could to prepare yourself for it. I think those are good objectives to set and really kind of makes life more meaningful. So, it's a little bit more than just kind of the status and the wealth aspect. Although I would say good financial planning would enable many of those things, so. Sahil Vakil: Right. No, that's actually really great insight, because we've been seeing this as well on our end is individuals are moving, their definition of success more, like they're moving it away from material aspects to more experiential aspect where they're seeing, they're measuring their success in life by how many good experiences have I had? How will I challenge myself from a personal, mental, non-material, non-monetary aspect? And how have I actually achieved success in kind of intangible terms and in intangible aspects? So, which is just fantastic. We're seeing a huge, the Gen X and Gen Y population, Gen X is probably still closer aligned to the material aspects of associating success with the amount of money and status. But we're seeing Gen Y move more towards experiences and measuring their life success by evaluating the different experiences that they've had. So, thank you for sharing. I mean, this just kind of highlights a huge kind of difference. And to confirm, you are Gen Y, right? Michael Chu: Well, I don't know what the definitions are nowadays, but I'm definitely probably somewhere in the early millennial range. Sahil Vakil: Okay, fantastic. You mentioned this transition from this American dream. Very interestingly you mentioned CEO picket fence type of American dream to this experiential kind of definition of success. Were there any pivotal points in your life where you made this transition? What made you switch over? What was that, where was that point in your life that pushed you over the picket fence in that sense? Michael Chu: There were definitely many, a lot of serendipitous opportunities, and a lot of, when I think about pivotal point, I kind of think about it as these serendipitous opportunities I think just kind of opened up my eyes to what's out there. And also, people who I've encountered who've really invested and believed in me, right throughout my career. For example, when I was 19, I took a job in Japan where I lived and worked for a year. And I think back then it was probably the first time I'd been on a plane since moving to Canada as a child. And then moving to a country where I didn't speak the language and kind of venturing out there, that was a big pivotal point, not necessarily about definition of success, but I think it was more about just understanding who you are, where you stand with the world at that point in time. Because I think when you're young, you have these big lofty dreams and goals about the future. You're also trying to figure out what you yourself are capable of, and you kind of marry that with the opportunities that are before you. So, I think for me a good gage has always been does this opportunity get me really excited. And so, a lot of the big moves I've made in my life have had that general theme. So, taking the opportunity when I was young and going to Japan was a big one. When I moved down to New York and kind of applied and got that job at Bloomberg, I think that was a pretty exciting. There's kind of like something internal that gets stirred up, I think pushes you in that direction. And then a lot of the big moves, even professional moves when I was at Bloomberg, I think there's that same feeling of excitement when I, that kind of pushed me towards doing that, so. And the people, I think, I've had a lot of really good mentors, really great mentors. People who taught me many things. Like one of my mentors was, like I would say, and I never got a graduate degree and then, in engineering or technical science like that, but one of my mentors at Bloomberg, he was pretty much that professor figure for me. So, I feel like I got that education from him. I had, there's another, someone I really looked up to who's really that go getter and entrepreneur type. I had another mentor who really taught me to refine my management style. And kind of he was a very seasoned senior manager at Bloomberg as well. Like I think it's those people that also help you refine what you you're good at and kind of help you get there, right? So. Sahil Vakil: No, and that's fantastic. I mean, and people are extremely important to your point, like if you get the right mentorship and the right guidance, you can do wonders in this world. Talking about your big moves as you mentioned, right? Moving to New York, getting a job at Bloomberg, et cetera. From all these big moves throughout your life, which one of them has given you the greatest feeling of achievement? Michael Chu: I think two things: One is working in business environment. Seeing commercial success for the things, the products that you work on is I think no greater validation of your work and the time that you put into it. Especially in kind of a tech environment, because we were working a lot of projects. And I think everyone in tech and who's been around knows that not every project you work on is going to see the light of day in production in the hands of users. So, like there are a lot of projects that you spend time on, and you're like, oh okay, that kind of fizzled out. Or people didn't really want it. And so, when you do have that one where you see okay, you see commercial success, tons of people using it, it's actually making money for the company, there's no greater validation than that. I think the other one is to play a part in somebody else's growth journey. I think for me that's always been important, because many people have given to me professionally. And so, I've always kept an eye on kind of giving back and kind of paying it forward that way. And especially when I was in management roles, that played a lot into the kind of culture, the kind of manager you want to be, the kind of organizational culture you want to create for your people. Creating a place that people want to be long-term. So, and you spend, at least I was spending so much time at work, that the people you work with are really your friends, your family, people you spend a lot of time with. And so, it's always better when you can have a good time and enjoy people around you. Sahil Vakil: Right. That makes sense. So Mike, you moved away from this definition of success in monetary or status terms to this very experiential definition of success. But in that sense then, what is the most important things that you money gives you today? Michael Chu: I think the most important would be the freedom to spend the time the way you want to. So, freedom to spend my time on the things I want to do. Or I think it's easy to get to increase your dependence on that monthly paycheck, and this is kind of what I was alluding to earlier when, I mean I think there's a lot of social pressures and other reasons to level up your life, right? And the more, and that was actually a big, but part of, probably one of the biggest challenges I faced when I transitioned out of that long-term career mentality at Bloomberg, is like walking away to a different relationship with money when you don't have that monthly paycheck coming in, I think. And sometimes that, I think for a lot of people that could get into the way, into the way of other things you want to pursue with your money and your time, right? If you want to go out and explore new interests or spend the time the way you want to, the financial security is something that will enable that, right, so. Sahil Vakil: Right, right. Absolutely. Michael Chu: Can enable that, I guess. Because money is a way of life. You need to eat. You need somewhere to live. You need money to do the things you want to do. Sahil Vakil: Absolutely. There's a use of money for needs and wants, and I think again, given your definition it seems like, you were initially using money towards satisfying your wants and now you changed that definition and your utilizing money more for your needs and then additional life experiences. So, it's a very interesting change in your use of money and what it means to you today. But let me ask you a fun question, right? So, what if you had unlimited amount of money? Would you do anything differently? Would you change anything? Just let yourself loose here. Michael Chu: I mean, I think nowadays it doesn't take that much, I mean for some people it's probably a lot more. I don't think I'm that ambitious. But for me, a nice comfortable lodge in the mountains and maybe ownership in a nice local business that can actually give me some leveraging stability will be great. And maybe investing in some companies that can have some impact on the big global issues that are out there. For me that's also something that I'm pretty passionate about, so. Sahil Vakil: Right. And you mentioned global issues. What global issues are close to your heart in that sense? And which, do you have any philanthropic ventures towards those, or do you invest some of your time and resources towards those? Michael Chu: Well yeah, I mean probably not so much philanthropic ventures, but I always, I've kind of believed in giving back even when you don't have a lot since, so I mean I'd started kind of giving money to charities and kind of organizations that I believed in pretty much since I started making money. And so, that's always been something that's quite important to me. Nowadays, that's spread across some health organizations like LLS, Leukemia Lymphoma Society. I support also some education organizations as well. There's one that's doing some educational work in China that I also support and also have done some volunteering with in the past, so. Sahil Vakil: Okay. And if you don't mind sharing some of those names with our listeners. We can definitely put it in our show notes so they can go and access these. This is, LLS is one of them that you mentioned. We'll put that link up. And the other one in China, which one is that? Michael Chu: Yeah, that one's called Overseas Helping Hands. Sahil Vakil: Overseas Helping Hands. Okay, fantastic. We'll put links in there for those. Mike, tell us today as you make some of your personal finance decisions, what are your chief sources of information for these decisions? Michael Chu: In fact actually, one of the things I look at is also, a lot of the big asset management firms also publish their what they call global tactical allocation. So it's, and also basically it's like a country market by market forecast of where they think risk return for a given market looks like. And these are the things that it's really hard for you to do individually, because I know a lot of highly trained economists are doing this research. But teams of people are doing this sort of economic research. Just not the kind of thing that you can do easily on your own. But so, I take part of a comparative approach at looking at what does Blackbook think and what does State Street and other big firms. And they publish this on a monthly basis, many of them. Or some of them annually. But those are good interesting macro views of where the markets are headed. A lot of the big trends, I tend to like for example, like Bitcoin in the past couple of years, I think I've generally stayed away. There was definitely one point where I got really interested. I mean, some of those numbers being thrown around were, I mean in retrospect I think it was a good decision. Sahil Vakil: So, to clarify for those of us that don't know what Bitcoin is, Bitcoin is a cryptocurrency. It's a form of electronic cash. It is a decentralized digital currency without a central bank or a single administrator. And it can be sent from user to user. It works on a peer-to-peer Bitcoin network without the need of any intermediaries. Transactions typically are verified by the network through notes, through cryptography and recording public distributor ledgers called block chain. I mean, Bitcoin was invented by I believe it was an unknown person, but they user the name Satoshi Nakamoto. The entire kind of code was released as open source software, I believe back in like 2009. Bitcoins were created as more of a reward for processing doing work or mining. And they can be pretty much exchanged for any other currencies, products or service. Just to give our listeners an idea of how big the Bitcoin market is, it was estimated back in 2017 to be about 100 billion dollar market cap or total market size. And it's an extremely volatile market space. We've seen fluctuations range from ten, 15% a day to much higher ranges as well, and it's the highly speculative investment at least in our books, and we try to stay aware from it as well. You mentioned you invest in kind of a long-term broad market ETF strategy. Are there specific ETFs that you would mind sharing with our listeners, is there a specific portfolio that you believe in and you invest in? Michael Chu: Well, I think the big benefit in ETFs and something you’ve got to evaluate is, I mean a lot of people are into it now because for big major ETFs like SPY and other things that are tracking metric sectors, the expense ratios are just unbeatable. It is passive and sometimes you don't get to be as targeted as you may want to be if you are going for kind of the cheapest ETF out there. So for me, I kind of take a look at sectors that I'm interested in, how much they cost, what am I expecting, expected returns, and try to build my allocation on a couple of, it's SPY and some, one of the global, I have to go back and check my sheets. But a global EMEA and a global ETF. And also there's a specific high mega growth one that I've actually held for a while. Sahil Vakil: Thank you, Michael. We invest in a broad market diversified ETF portfolio. And to give you an example, right, so if someone at the age of 30 comes to us and asks us to create a portfolio. They have about a 30 to 35 year time horizon ahead of them. We might recommend kind of a portfolio of maybe six of these different ETFs, one of them being ESBTM, which is kind of the total stock market ETF. Another one would be SLY WE, which is a small cap value ETF. Another one we recommend typically is the SBDW, which is all world stocks except the United States. So again, in that sense, they're getting diversification across large cap and small cap as well as U.S. and non-U.S.
We also recommend the SBEM, which is the emerging markets ETF. And then also to diversify across different asset classes, we try to get them into GWX, which is the international small cap. And then another potential portfolio that we have recommended has been RWO, which is the global real estate ETF. So, this kind of gives them exposure, again, as I mentioned, across different asset classes. Real estate as well as stocks. It also gives them exposure to emerging versus non-emerging versus developed markets across large cap and small cap stocks as well. Okay, well put those in our show notes once you get a chance to look at them so our listeners can get a view of what those are. So, permitting a little bit, it seems like you are very astute kind of investor. You do a lot of research. You read the Wall Street Journal, Bloomberg analyst reports. Tell us about what has been your best financial decision in the past. Not investment-related, but just in general, your best financial decision. And then also tell us what has been your worst financial decision? Michael Chu: I think the best financial decision or decisions, saving early. And as I mentioned, I started to put money into many of the savings programs pretty much since I started to make an income. And so, I don't think you can ever start too early. Having more time and more of a capital and to build off of early on gives that kind of compounding effect a lot more to work with over time. And so, I think in retrospect that's actually been a really good decision. Sahil Vakil: Yes, absolutely Mike. I think the concepts that you're referring to, time value of money, compounding, these are the kind of fundamental concepts in kind of personal finance. Right? Just to give our listeners a little bit of more background, when we talk about time value of money, time value of money pretty much is a concept that money available today at the present time is in general worth more than the identical sum of money in the future. They just suggest, and I mean there's this study that suggests that rational investors prefer to receive the money today and receive the money in the future, simply because it has a higher utility to the beneficiary who's receiving it today. I mean, and also just from a logical perspective, right, if you had the money today and you could invest it in a market that could return you five, six, ten percent, you will have more money in the future. And that's also where the concept of compounding comes in where, in finance we say compounding refers to the increase in value of an asset to the earning of interest or on the principal. So, take an example, if you had $10,000 today, and you were being paid five percent interest in a year you would have $10,500. Now a year from earning that after the first year, the second year you would not only ear interest on the principal which is $10,000, but also on the interest of 500. And then at the end of the second year you would have about $11,025, if I'm doing my math correctly. Again, projectors are for like ten years, and assuming no withdrawals and you're earning a five percent interest rate, your money could grow as much as 16,000, 16 and a half thousand dollars if kind of my mental math here is correct. But I mean that's substantial growth. There's also this very interesting concept of the rule of 72 that I just want to kind of bring to our audience. It's kind of a back of the envelope calculation. I mean, the rule of 72 in a simplified way determines how long an investment will take to double given a fixed annual rate of return. So, by dividing 72 by the annual rate, you as an investor can get a rough estimate of how many years it will take you to double your investment. So, let's take an example, right? If you are investing in the markets which say are returning nine percent to you, over a year, the rule of 72 suggests that 72 divided by nine, it'll take you eight years for you to double that investment. So, just to kind of give folks an idea, this is a good back of the envelope calculation for future use. Michael Chu: I'm much more risk averse now than I used to be. I mean, earlier on I've tried my hand at a lot of investment strategies. I remember, and they have, som of my bad traits of all the trademarks, like they're speculative, they're undiversified, they leverage. The two that come to mind, one was an effects bet. I was kind of just playing around and trying to learn about the FS market. People who trade in that space, it comes with a lot of leverage and it's not something that I understood very well, and nor do I understand very well today. So, I generally don't really invest in things I don't understand well. After that one I've kind of stayed away from FX. And there's also another holding in an ultra short ETF that was a mistake, so from my younger, more brash investment days. Sahil Vakil: Thank you for sharing that. The speculative bets are always a tough decision. I mean, there's research in the market would suggest that active investors in more cases than not, don't be passive investors. So, think about it as hedge funds versus Warren Buffet. Who do you think's going to win in the long-run, right? Michael Chu: For sure. I mean, but I think it's also important that people invest in things that they believe in, right? I mean, at the end of the day it's your money. You want to strike that balance between kind of putting money into things that you believe in, and also having it do, having money grow to enable you to do the things you want it to do for you, right? So, for example, if someone really does the ground work and really learns about a company and they believe okay, Tesla's going to really change the way that the game is played in electric the vehicles, and it's going to do something big for climate change. And you really think that you're taking a level-headed approach at researching it, and not just kind of buying into what other people are saying about the company and then buying into the hype. The markets are always going to hype something up. So, I think if you're going to put in the groundwork and try to see beyond that, I think it's okay for people to play some allocation and those things, because it gets them more invested in their own future as well, so. Sahil Vakil: Right. Makes sense. I think this is a great segue to another question around do you have any rules that you follow with your money? I know as we've had this conversation, you already mentioned a few of them very subtly. One is invest in what you believe in. That's what you just spoke about right now. The other one was save early, looking at that time value of money and compounding. The other piece was diversify your investment but don't overdiversify. What other rules do you typically follow with your money? Michael Chu: Yeah, I mean the whole, the last one about about over diversifying, I mean I think that has to do with more my personal style. Because people have different comforts about investing. And that has to do with risk. That also has to do with ow much time are you going to spend and then what expertise do you have that's going to, in that particular investment strategy, right? And so, or me that's really kind of something that I found worked for me because I don't like to be watching it every day. I'd rather do a rebalance every month, every quarter rather than checking the stock every day for the latest news. So, it kind of frees my mind up for other things of a life side perspective. But in terms of rules, I think one that probably a lot of people follow is, have to do with credit cards. Like don't hold that, like be very weary I think of carrying credit card debt. And I think it is one of the big problems out there in terms of credit card interest rates are really, like I mean it really blows my mind, 16, 17, 20, 24% depending on what card you're holding. And I think whenever you're holding a balance, it's just really not a good idea, and it really eats away at your expenses really quickly. And I think one of the things about credit cards is many of these programs are structured to incentivize your spending as well. And it's very easy to spend more on your credit cards. Once you get comfortable with carrying a balance on it, I think that's a slippery slope. Sahil Vakil: Yes Mike, you're absolutely right. Debt's always difficult. And we've actually helped several of our clients get out of credit card debt. And typically we have multiple approaches that we use, and I'll try to kind of highlight them at a high level. But so one method we use is pay more than the minimum. A lot of times credit cards incentivize us to keep balances. And they just allows us to pay maybe two or three percent of the balance as the minimum payment. On the rest of the balance, they earn an interest. So, we always suggest pay more than the minimum. If you can pay the full balance, pay it. Even better strategy, another strategy is just automate your monthly payments. There's an option for you to do an auto pay where your credit card gets directly paid from a checking or saving account on a monthly basis, and you never keep a balance in that sense. Another strategy we've typically recommended is called the debt snowball strategy. This is a very interesting one, right? Here instead of, you basically take all the credit cards that you have debt on, you line them up in order of magnitude. So, the card with the smallest debt first, and then the largest debt balance last. And you pay off the smallest balances first, irrespective of how much you're paying in interest rate. Even if you're paying really small interest rates on the smallest balance, compared to the higher balances, pay off that first, the lowest balance. And the snowball method pretty much works on the sense of accomplishment and motivation for person who has debt where they pay off the first balance and all of a sudden, one card is out of the way, and they feel like we just crushed a big mountain. And then you go and you pay off the next card and he next card and the next cards creates this snowball effect of achievement. And another strategy we use is called debt avalanche effect. Its' actually the exact opposite of the debt snowball. With the debt snowball, we lined up the cards based on balance due. Here we would line them up based on highest interest rate. The goal here would be to pay off debt with the highest interest rate, such that you're pretty much paying off the most hurting credit card in that sense, or the credit card debt. Other strategies have also been around. Maybe if your credit's good, sign up for a zero balance transfer credit card. I mean, you sometimes get there where the credit card company gives you maybe 12 or 18 months of zero percent APRs on balance transfers. And that buys you time, right? It basically buys you time. Maybe you are unemployed looking for a job and in 12 months you can find job, and get some money in the door to pay these credit cards off, et cetera. We also sometimes recommend looking into personal loan options. I mean, person loans, again, if you credit is decent, you could potentially get personal loans that are much lower than credit card APRs, which typically run to your point, at like 18%. Personal loans could fall in the six to eight percent range, and kind of help you consolidate also all your debt into one single loan, versus paying off multiple cards. Again, I think then the final strategy, I mean, if nothing's working and none of this actually works for you, there's always the option of filing for bankruptcy, or maybe even settling debt with your creditor in that sense. But again, those are last kind of options if nothing else seems to work, so. Michael Chu: Yeah, unless if they start having four percent credit cards, then I might start thinking differently at that point. I am quite familiar with the business there. The operators, like the banks won't be able tom the issuing companies won't be able to make a business on that kind of interest rate. So, they have a natural incentive to get you to spend more. And I think most people need to be aware of that. Sahil Vakil: And that comes down to your point and opportunity cost, right? If they only give you credit or the opportunity to spend at four percent, and if you get eight to ten percent in the market, after tax if you're getting six percent, hey that's your opportunity cost, right? You'd rather invest in the market, take a loan for that credit card. But again, a different conversation, not for us today. Michael Chu: Right, yeah. Sure. Sahil Vakil: Okay. We're coming to a close on our podcast here. Just want to end with a couple of questions in terms of just your long-term thought process and where your mindset at, you would be remembered some day, what would be that one thing, or those top three things that you want to do in your lifetime to be remembered someday? What's your legacy in that sense? Michael Chu: Oh, that's a really big question, and I think for me, that's I mean, on the top three things is, that's actually changed a lot for me over the years. And it's probably going to be the same way as time goes on. Because a lot of the goals that I've set for myself, I've been hitting them. I tend not to make crazy lofty that will take me 20 years to get there. But for me lately it's been, like right now I will say one of the major goals for me, things I want to do is as I mentioned I've been doing a lot of mountaineering. I really enjoy, it's something that I think I really love and enjoy just to be out there in the mountains. And so, probably it would be to conquer a major mountain objective, although right now I haven't really decided what that's going to be yet. But I think that's going to change over time, and I'm going to want to challenge myself in new ways once I get there, so. And in terms of how you want to be remembered someday, I think for me that's a really big question. I mean, I think for me it's more important that I'm kind of happy with how I live my life than want to be the next Steve Jobs or anything like that. I think it's more people around me, people are important to me and I can have an impact on them, that's kind of all, I think that's enough for me, so. Yeah, it's a big question, so. Sahil Vakil: No, that's great. I mean, be who you are., right? You don't need to be Steve Jobs. Be Michael Chu and own that. Michael Chu: Yeah, for sure. And I think people, in fact, I feel like people should be more comfortable making, as long as you own it, I think you're good. As opposed to deferring to not thinking about it or kind of letting other people define that for you. Just pick something that you can believe in and that you can own, and I think that's a, it's kind of a make you more satisfied I think over the long run. As opposed to worrying about whether you're going to get there or not, so. Sahil Vakil: Thank you so much, Michael Chu. It's been amazing to have you on the show. Hope you enjoyed speaking to us, and I'm sure our audience will enjoy hearing your story. Michael Chu: Great. Thank you so much for having me.